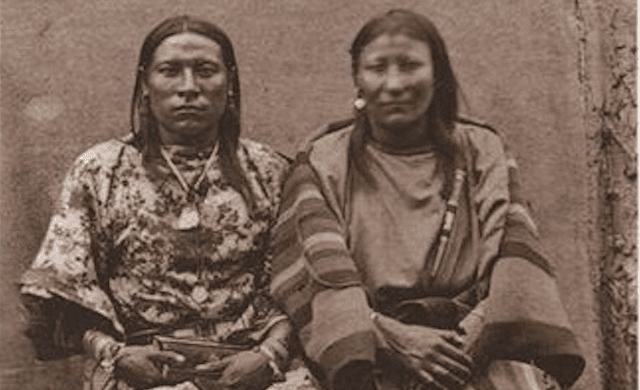 One of the most celebrated Two Spirits in recorded history was a Lakota warrior aptly named Finds Them And Kills Them. 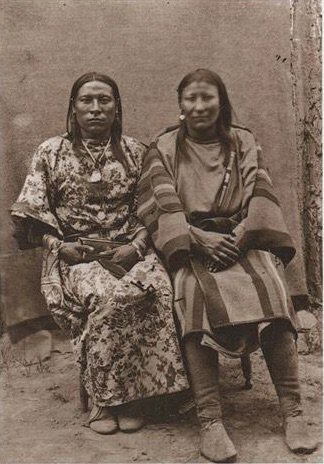 Osh-Tischwas born a male and married a female, but adorned himself in women’s clothing and lived daily life as a female. On June 17 1876, Finds Them And Kills Them gained his reputation when he rescued a fellow tribesman during the Battle of Rosebud Creek. An act of fearless bravery. Below is a picture of Osh-Tisch and his wife. Imagine a world where people allowed others to live freely as the people nature intended them to be..without harm..without persecution..without shame. Imagine a world where we are truly free. This post was republished from theearthchild.co.za You can find the original post here.